Includes rotors, bearings and seals, caliper brackets, and hardware. This kit is for you guys already running Pinto spindles but want to swap out your heavy Granada rotors for the lighter Hybrids. Re-use your metric calipers. 5 x 5" bolt pattern. 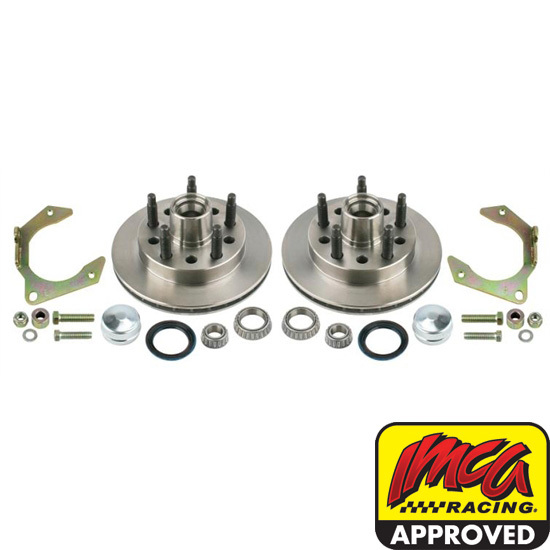 This brake kit is designed for dirt circle track applications only. It is not to be used for asphalt, pavement, or drag racing applications. Wheel Dust Caps, Plain, 2.085 Hub I.D.